SKU: AMTRAK-BS. 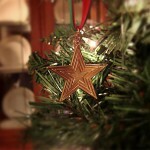 Category: The Roanoke Collection. 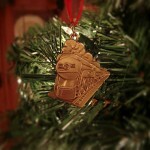 Tags: Amtrak Roanoke, Christmas Ornament, Virginia. 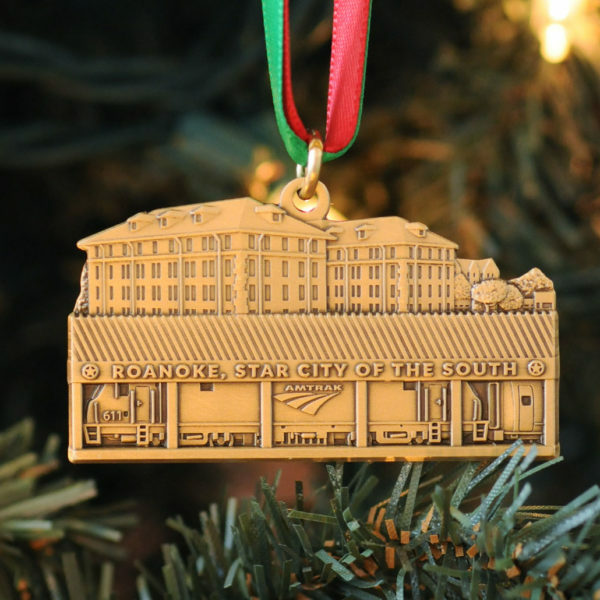 The 2017 ornament celebrates the return of passenger rail travel to Roanoke, VA, after almost forty years since Amtrak operated the route between Roanoke and Chicago. This new east ~ west service has been made possible by a collaboration between the State of Virginia and the Norfolk Southern Railway. The new platform, Amtrak’s “Roanoke Station,” will be a part of the existing Northeast Regional line travelling through Lynchburg to Union Station in Washington, DC, and on to Boston South Station via connection. Startup service will offer a daily early departure and late return to begin October 31, 2017. The artist’ depiction of the site includes a section of the platform across the tracks and below the iconic N&W General Office Building. The platform stretches parallel along Norfolk Avenue, where the N&W complex of offices and Hotel Roanoke, both constructed in 1882, are clearly visible and a reminder of the early influence of rail traffic in Southwestern Virginia. 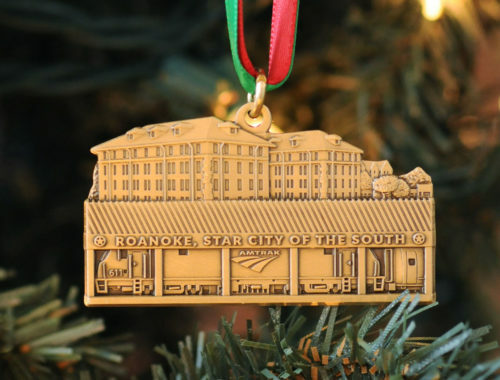 From Downtown Roanoke the train will be visible rumbling past the end of Jefferson Street. 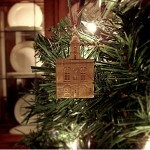 Solid Brass Christmas Ornament: Brushed Finish. 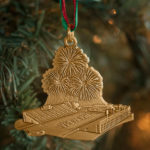 Includes ribbon as shown. First produced in 2017.